Brought to you by popular demand, insert drumroll here, is Fresh Friday! 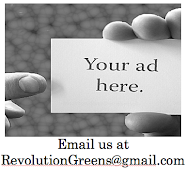 Every Friday the Revolution Greens army will be bringing you a healthy and organic recipe for your dining pleasure. If you have any favorite recipes let us know and we will include them on the site for all to see. Not only will you be getting healthy, but the planet will be as well. 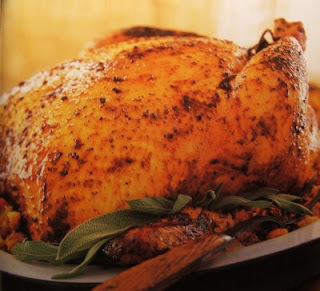 Our First recipe is STUFFED ROASTED ORGANIC CHICKEN brought to you by our fiends at organicauthority.com. Enjoy! -Grate zucchini and salt it. Drain in a colander for 10-15 minutes to remove water. -Meanwhile heat 1 tablespoon of butter in a sauté pan and add onions and sauté for 30 seconds. Add garlic to pan and sweat onions with garlic until tender and translucent. -Rinse the zucchini and squeeze dry. Heat another ounce of butter in a sauté pan and sweat zucchini in butter. Let cool. -Combine the remaining ingredients in a bowl and salt and pepper to taste. -Cut the backbone from the bird with kitchen shears. Lay and spread flat on a a wood cutting board (wood cutting boards are the safest to use with meat), skin side up. Using the back of the knife strike the breast bone firmly, breaking the breast bone, collar bone, wish bone and the rib cage. Gently loosen the skin with a pairing knife around the breast, legs and wings to prep for stuffing. -Combine the herbs for the chicken in a small bowl and add the olive oil. Stir to combine. -Place stuffing underneath the skin of the chicken. Rub herbed olive oil all over the skin of the bird. Salt and pepper bird to taste. -Place chicken breast side up in a roasting or oven safe pan (like cast iron) and roast until internal temperature reaches 160˚, about an hour to an hour-and-a-half depending on the size of the chicken. Baste chicken as it browns.